It has been 3 years since we started our journey during which your continued love has given us the inspiration to create unique homes for their unique owners. With understated elegance, natural materials and contemporary aesthetics we have created one-of-a-kind furniture designs for valuable associations like yours. 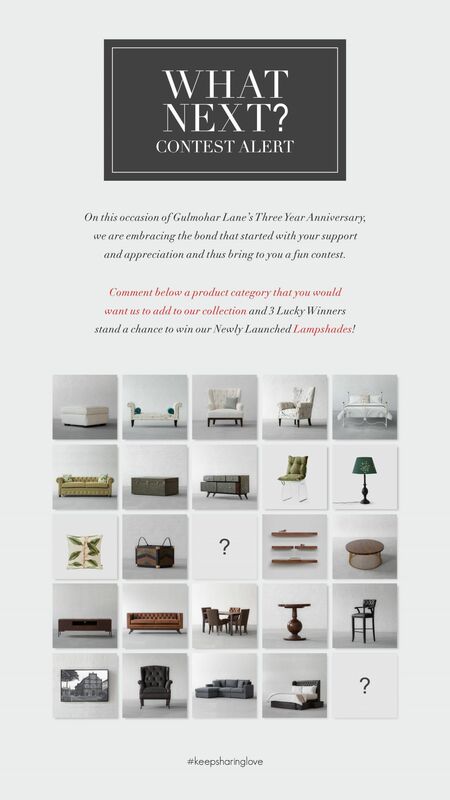 On this occasion of Gulmohar Lane's Three Year Anniversary, we are embracing the bond that started with your support and appreciation and thus bring to you a fun contest.